> Topics>Teams>Calm Effectiveness with Robert K. Cooper, Ph.D.
Now you can capture the benefits of this groundbreaking approach that unlocks hidden capacity to excel in a changing world. With crystal-clear questions, uncommon wisdom, and proven solutions to work smarter, not harder with more energy, focus, and calmness. This video program is jam-packed with inspirational, one-of-a-kind scientific insights and ultra-practical new tools. 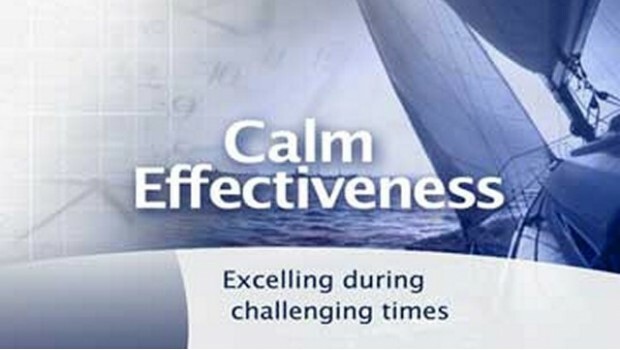 Robert K. Cooper, Ph.D., shares The Calm Effectiveness Skillset - a unique way that star-performing individuals and teams rise above pressure, and maximize their focus on the people and priorities that matter most. Front-line employees, professionals, and leaders at all levels will find compelling questions, fresh perspectives, proven tools, and timesaving answers.